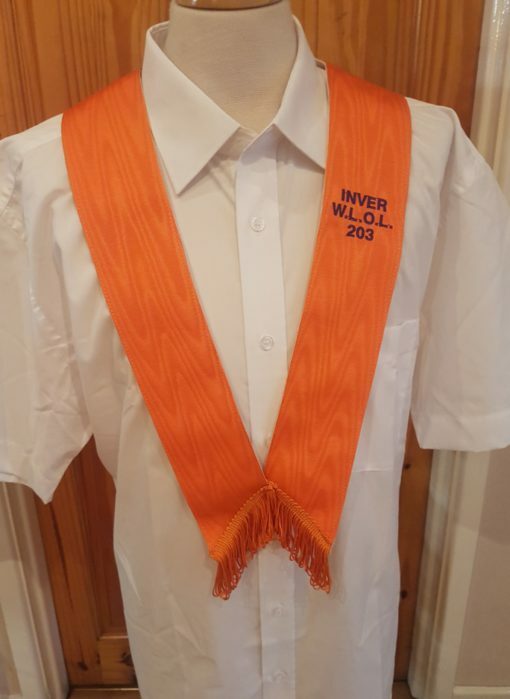 Plain orange ribbon, complete with embroidered lodge name & number on breast. Backed in leatherette. If you require a purple slash above name please state.